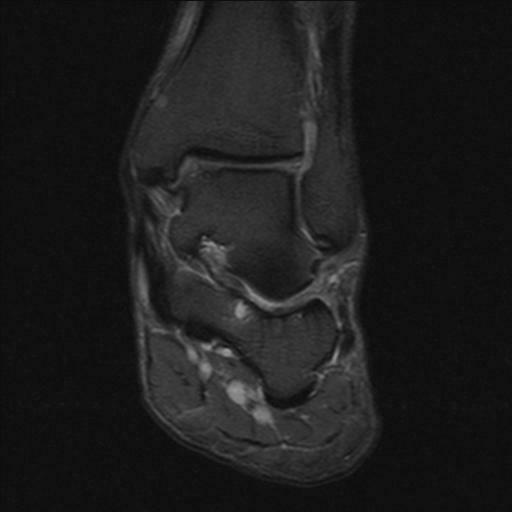 Coronal proton density images demonstrate cartilage and underlying bone defect along the medial surface of the talar dome. 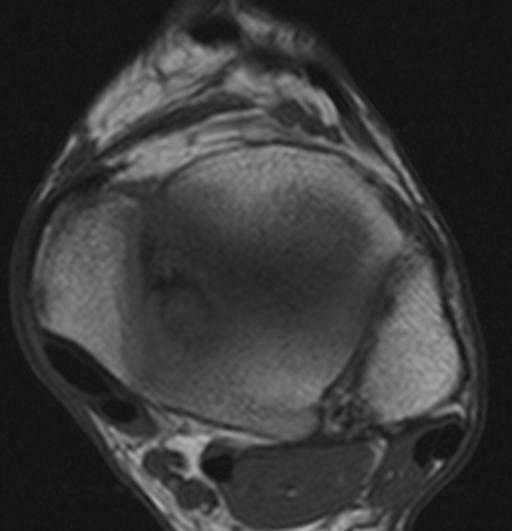 A rim of high signal surrounds the osteochondral lesion. 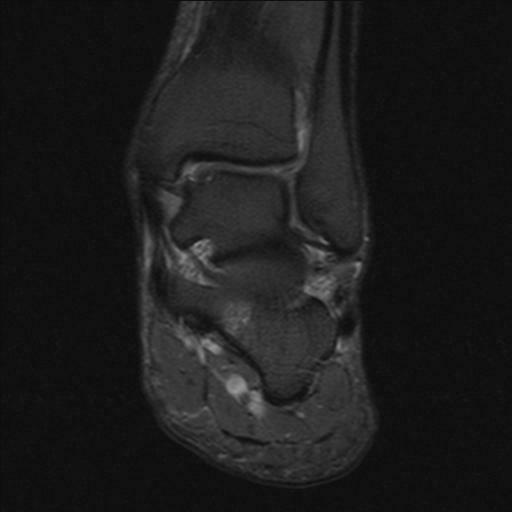 Osteochondral irregularity is also demonstrated on the axial image. The main differential consideration in the setting of OCD is staging of the lesion.